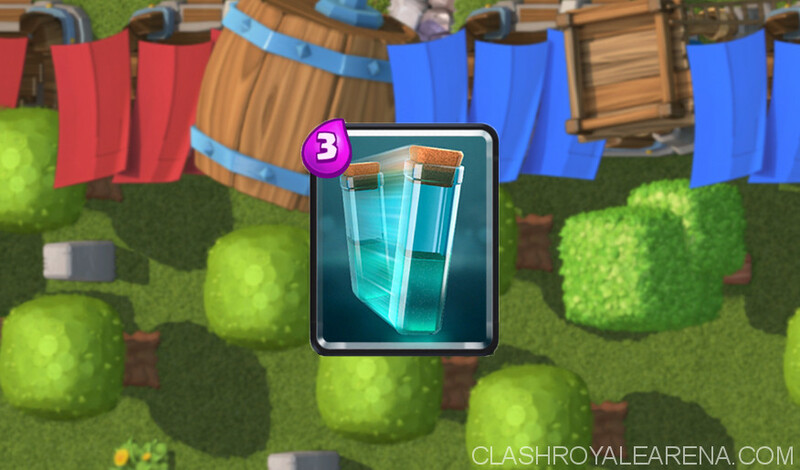 The Clone Spell is the new Clash Royale card, which is going to be added into the game next 2 days (December 10th). Let’s take a closer look guys. I am going to show you everything about this card! The Clash Royale Clone Spell is unlockable from the Arena 8 (Frozen Peak). This spell clones troops, as stated by its name. Cloned units don’t have spawn time. They last forever but they have only 1 HP. You can cast the Clone Spell anywhere on the map. It doesn’t clone the enemy units. It doesn’t clone spells and buildings. 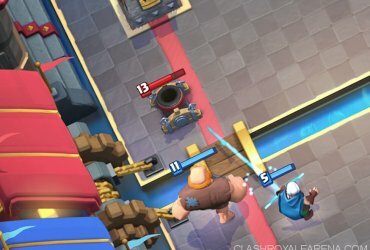 The best cards you will want to use with the Clone Spells would be Lava Hound, Giant Skeleton, Witch, Minions/Minion Horde, Skeleton Army, Hog/Balloon, Princess, Guards and Dark Prince! Read the full explanation at here! While being cloned, the unit will stop moving, attacking… Everything will be suspended. Princes, Sparky and Inferno Dragon charge will be reset so think twice before using Clone Spell on your cards! Clone Witch can spawn Skeletons. Those Skeletons deal full damage but have only 1 HP. The Clone Spell always pull the real unit to the left side and the clone one to the right side. This happens anywhere on the map. You will want to remember this in order to prevent your clone unit from being hit by the enemy first. Clone Spell is excellent at helping your troops bypass buildings. You can use this trick with almost any troop targeting buildings! Take a look at the GIF below for more details! When your unit is frozened, clone it and the clone unit won’t be Frozened! If you have only 1 Minion left from the Minion Horde, the spell can clone only 1 Minion. Ice Golem is probably the Clone spell’s worst enemy. Its death damage removes all clones nearby. If you use the Clone Spells 2 times on a unit (Mirror the Clone), it will only duplicate the real unit. Mirror the real unit then use the Clone Spell on them! Clone Dark Prince and Guards’ shields have only 1 HP. Using Clone on Lava Hound is also a very nice idea. Once the Lava Hound is locked on the Tower, clone it! The clone unit have only 1 HP, meaning it will die pretty fast, splitting into Lava Pups while the real Lava Hound is still soaking damage. Watch Yarn’s video below for more details! The below video talks about what the Clone Spell might bring to the game, how best to use it and discusses some of the smaller details not yet widely known about how it will function. It also compares it to the Clash of Clans Clone Spell whilst offering some insights on how it will differ. Additionally, the video shows some footage of the new card released today: The Elite Barbarians. The Card has, so far, proved underwhelming and rather disappointing purely because of the ease in which it can be countered. The prognosis is that we probably won’t be seeing it much after the initial excitement for a new card calms down. Because of the 1HP factor, the tactics are very simple. It will be fairly useless cloning tanks as they won’t gain much DPS and will die as quickly as any other unit. On the other hand, cloning DPS units will be much more productive. Specifically you want to clone cards such as the Musketeer, Mega Minion, Wizard and Balloon. The latter in particular could be extremely dangerous indeed especially as it is likely to drop a bomb upon death. This also means that you’ll only want to clone units that are behind a tank to maximize efficiency and damage as well as time up. One particular tactic that is likely to become common place is a split push being cloned. That way zap or log won’t be able to take out the full benefits. For example, if it was possible to clone the 3 Musketeers on a split push (you’d be hard pressed for elixir but it could be done at opportune moments), you could end up with 4 musketeers on one side and 2 on the other which would be devastating for an opponent. It’s as yet unclear as to whether troops such as Golems and Lava Hounds that have been cloned will produce Golemites and Lava Pups. The likelihood is that they will but that they too will have reduced life to 1HP. What is clear, is that the death damage will still be the same (When the Golem explodes for example) which will be useful for united such as the Giant Skeleton. There will also be a possibility to use mirror in conjunction with the clone card – for example, you will be able to clone troops for 3 elixir and then mirror the clone for 4 elixir presenting a potentially lethal situation for an unequipped enemy. What do you think about the Clone spell guys? 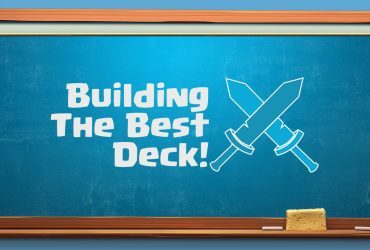 Will you buy the 10 card stack? Please share your opinions about it!